If there is a lighting buzzword right now in the world of landscape lighting, it’s definitely “LED” (light emitting diode). This type of lighting has been gaining in popularity for quite a while now, and it’s not surprise why. They offer more benefits than just about any other lighting on the market and they’ll last for practically forever. 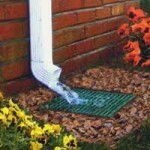 They’re also great for adding different flair and design to your Maryland landscaping or hardscaping. In fact, many cities, universities, and companies are starting to implement the use of LED lights to save money and make the world a little bit brighter. But without further ado, let’s check out some of the benefits that LED lights bring for Maryland landscape lighting. Energy efficiency – This is number one on most people’s lists. LEDs are nearly 90% more energy efficient than a regular incandescent bulb and are still about 75% more efficient than a CFL. This will reduce energy bills and power usage, leading to a reduction in the use of our non-renewable resources. There’s nothing quite like keeping more money in your pocket while being more eco-friendly. 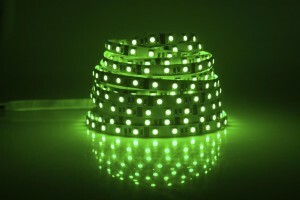 Long lasting – If you were to leave your LED lights on indefinitely, they would continue to burn for at least 11 years. If you only use them about 50% of the time, they’ll last for 22 years. We imagine that you’re probably not using your lights quite that often, but if you do, you’re still not changing your light bulbs nearly as often as you would with an incandescent or CFL bulb. While the cost of an LED might be a little higher, you save money on replacement bulbs and energy costs. Design flexibility – LEDs are very bright, despite the fact that they use less energy and electricity. 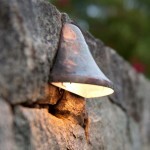 They also come in a variety of different colors, which can make landscape lighting fun. You can choose to highlight certain portions of your landscape in different colors and even use in-ground lighting. LEDs can be put on dimmers if you prefer something a little softer. If you saw the ball drop last year, you got an idea of what LEDs can do, since the entirety of the ball was made of glass and LED bulbs! 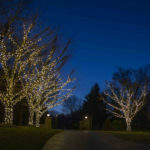 LED lighting is one of the best and brightest landscape lighting trends in Maryland at the moment. We want to help you save and get a gorgeous product! 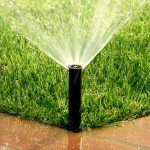 At Aqua-Bright, it’s more than just getting the job done, it’s getting the job done right. That’s why we take our time and pay attention to every last detail. 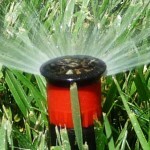 Whether it’s installing lawn sprinkler systems, outdoor security lighting, or basement waterproofing, the professionals at Aqua-Bright do the job right. Kevin wouldn’t have it any other way. Call Aqua-Bright today at 410-489-9009, stop in and visit us, or take a tour through our website to get started with your outdoor lighting system. This entry was posted on Friday, August 22nd, 2014	at 3:49 pm	. You can follow any responses to this entry through the RSS 2.0	feed. Both comments and pings are currently closed.